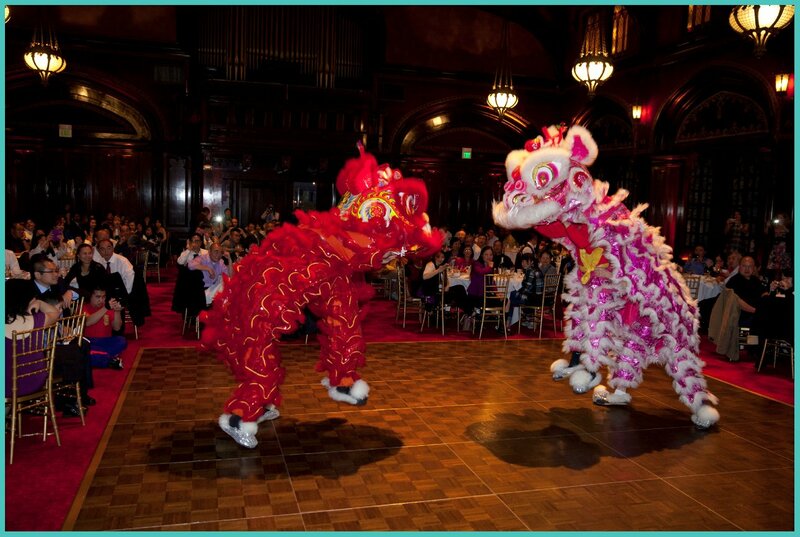 Blog » Chinese Lion Dancers Can Take Your San Francisco Wedding Reception To Another Level! ©Photos By Steve Keegan, 2014 All Rights Reserved. I recently shot a large Chinese wedding in San Francisco that had a lot of great details, but these traditional lion dancers stole the show! 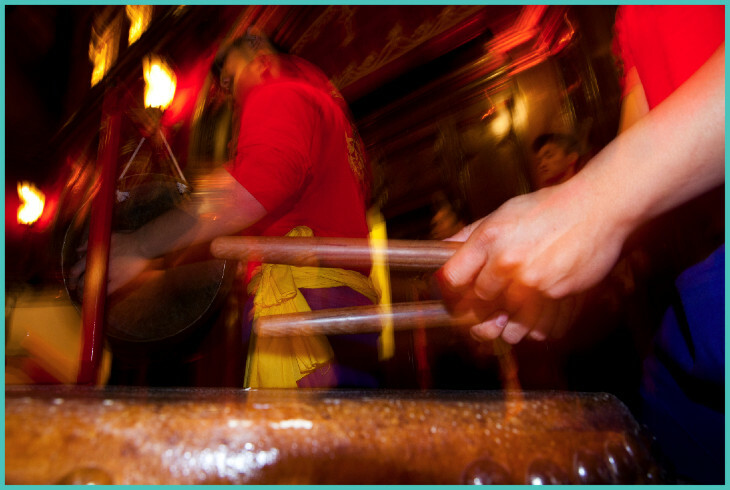 For a nominal investment of around $400, a dozen drummers and dancers invaded the space to the surprise of everybody in the room and absolutely put on a show that none of these guests will ever forget! Don't feel like you have to be of Chinese ancestry to take advantage of these incredibly talented performers. They told me they do weddings of all kinds. The show went on for about 15 minutes as the lions slowly made their way into the venue weaving in between the tables and interacting with the guests before performing quite an acrobatic display on the dance floor, as traditional Chinese drummers supplied the beat. What special surprises do you have planned for your wedding reception? Feel free to share ideas in the comments section, and don't forget to subscibe to my blog and Facebook page to get more ideas for your wedding.